Marketers increasingly recognize how essential habit and seamlessness are. "How to Win and Keep Customers" is the cover theme of the current Harvard Business Review -- the lead article says to focus on habit, not loyalty, while others say that "habit is how we build the connection" and "habit beats novelty." Some people question whether FairPay is seamless enough, and whether it goes against habit, but I suggest that, done right, it actually builds a stable, self-adjusting relationship based on habit in a way that is natural and largely seamless. Subscriptions are about as habitual as commerce can get. The dream of many subscription marketers is to get customers to subscribe, put them on autopay, and hope they never think about it again -- pure habit. Not even "thinking fast" as Kahneman called it, but not thinking at all. But the reality of the subscription habit is not really so simple -- and poses financial risk to the subscriber. Seamlessness requires not just absence of effort, but absence of risk. Especially for unlimited digital subscriptions, customer usage -- and value -- varies not only from customer to customer but also from period to period. Many customers are often nagged by the feeling that they are paying too much for a service they no longer find worth the price (and may not be using). A price that sustains lack of thought from one customer at one period may not do so for another customer -- or for the same customer, for a different period. Perceived value fluctuates, and when it goes below a threshold, the dreaded cancellation request arises. Then things get hairy, as previously profitable customers may or may not be coaxed to stay. Both businesses and consumers spend great cognitive effort (and service agent time) negotiating whether to cancel, or agree on some customized retention offer -- and if successful, that just kicks the can down the road a bit. No matter what your subscription price, there are problems. If the habit does not fail for many customers, the question is why not? Is it because your price is so far below the pain point that you are leaving money on the table for most of your customers? Whatever the failure rate, what about the unseen base of the iceberg? ...those who do not subscribe because the price seems too high? ...the many customers who don't even consider subscribing because of fear they will regret it? At the same time, keep in mind that for some customers, seamlessness is not the issue. An important segment of consumers enthusiastically embrace behaviors that are far from seamless. Some consumers willingly bear punishingly high cognitive loads -- some in various forms of bargain hunting (such as to maximize credit card bonuses and airline rewards), others because they are "superfans" and actually want to be deeply involved. The new FairPay relationship strategy entails a learning curve that may seem burdensome, but it is risk-free, and once established, it can be simpler than conventional subscription (or membership) processes. When managers consider FairPay, a common initial concern is that it is unfamiliar, and that it imposes a new cognitive burden on the customer. The burden is in the cooperative discovery process that leads to personalized prices, based on dialogs about value (and price) with each customer. In principle, that process is adaptive, forever. That may sound like a formula for a lot of "thinking slow," something humans try to avoid, and marketers rightly wish to help them avoid. But that is not the full picture, for two reasons. The first, as explained above, is that the seemingly mindless subscription process often fails and becomes burdensome. It involves not only cognitive effort, but financial risk. After a short learning curve, the seller's algorithms can begin to predict the value that the buyer sees, and can suggest prices that the buyer will generally be satisfied with. These suggested prices can use predictive and anticipatory analytics and machine learning to reflect the dynamics of value, as perceived by the buyer -- reflecting how many and which items are consumed, with what intensity, and with what results -- and that can be shown in the usage report that goes with each pricing request. The buyer sees the progress of that learning as it emerges, and becomes increasingly comfortable that the seller's pricing suggestions are becoming properly personalized to reflect their usage and values. Such dynamic suggestions can become far more aligned with perceived value than any fixed subscription fee. Once that comfort level emerges and is sustained for a while, the buyer can simply put the process on autopilot (using autopay, just like a conventional subscription). The difference is that the buyer always has the option to review recent charges, and can go back to make a unilateral adjustment any time they might feel those prices are out of line for a given period. That can be a one-time adjustment, or can trigger a deeper re-calibration of the personalized pricing process. This process eliminates financial risk to the subscriber -- an important aspect of seamlessness. Customers need not fear subscribing under FairPay, because there is no roach motel -- they will not be required to pay by default, to pay for services they do not use, or to remember and go through hoops to cancel a service they no longer want. Because this adaptive learning can become largely automatic, with just occasional re-calibrations, this can actually become just as simple and impose no more cognitive load than conventional subscriptions. Done well, it can actually become more seamless. And, perhaps more importantly, with a FairPay relationship, there is no financial risk to fear -- consumers need never doubt that subscribing is worthwhile, because they share in the power to set the terms, expending as much or as little effort as they deem worthwhile..
Of course this is a new method of doing business, so early uses will not go as smoothly as they will after businesses and consumers have gained a good understanding of how to use it effectively. So for early uses it is important to be careful to select lines of business and customer segments where it is likely to work well, and where some cognitive load will be tolerated. Suggestions on how to do that are in a companion post, Finding Good and Fair Customers -- Where Are the Sweet Spots? FairPay is a new pricing method that reduces risk, but involves joint learning. It will not be simpler for all people, all of the time. But it promises to reach a level of habit that will be simpler for many people, most of the time. And as businesses and consumers learn to use it effectively, it will be simpler for more people, more of the time. And that will generate greater CLV, from a wider market. You will find some famous friendship story in this explore the details and you will be really surprised by those story as they are really true and they happened with famous people. Some people said those copy writings are so easy to do but you can do it with the help of them http://www.manuscripttyping.com/how-we-work/ and using their checker which will help. It is so important to maintain all the things of writing and you need to check those commas and so much necessary kinds of stuff there in this site www.formatgenerator.com/ which help you up there for your need. Thinking about pleasant life and not concentrating towards science and advancement is distraction in light of the fact that without science we can't imagine such appropriateness. I think, nations which are living basic life and their lifestyle is look at here astoundingly extravagant in light of the way that they locked in and made possible to use science in consistently life. Profit is most important for any business and without profit we can run any business. 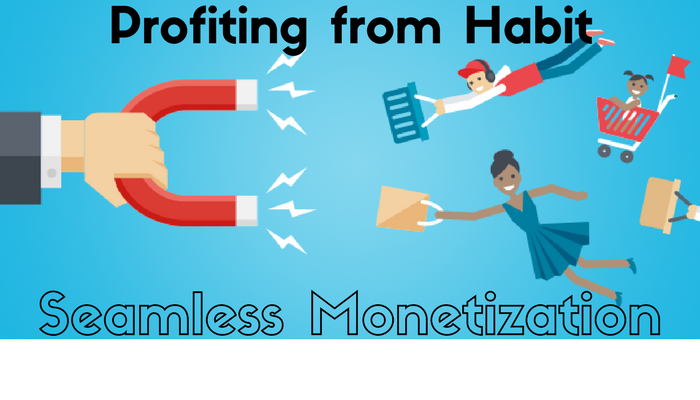 This is absolutely very good article information about profit from habit. This information should useful for every business owner. Also you can visit here https://www.typingservice.org/about-our-audio-typing-services to know about our audio typing services. Thanks for sharing great helpful info.